With Nikon entering the mirrorless camera market at the end of 2018, a new line of mirrorless lenses became necessary. That led to the creation of what we consider to be the 6 best Nikon Z mount lenses on the market. These lenses have the largest interior diameter and shortest distance between the mounting flange and the image sensor. They combine cutting edge technology with reasonable features and price tags. Third-party manufacturers like Kipon have also started creating affordable Z mount lenses that are lighter and smaller. However, they still pack a punch when it comes to technological abilities. There are a limited number of options currently available. However, Nikon and other manufacturers have plans to expand the range of Z mount lenses that is available. They plan to do so dramatically over the next several years. Here are some major considerations and questions we looked at when compiling this list. The main difference between a Z mount lens and an F mount lens is that Z mounts fit mirrorless cameras. F mounts fit DSLR cameras. You can purchase a converter to still use your old F mount lenses with your upgraded mirrorless camera body. However, you’ll get slightly better results from purchasing new compatible lenses. Nikon’s Z mount lenses have a larger diameter than their F mount lenses. F mounts measure about 47mm along their inner diameter and Z mount lenses measure 55mm. The Z mount lens also sits much closer to the image sensor. It has a flange distance of 16mm vs. the F mount flange distance of 46.5mm. These allow almost any lens to be converted to a Z mount. That is because no DSLR lenses have a wider inner diameter or shorter flange range than Nikon’s Z mount lenses. When you’re looking for the best Z mount lenses to add to your camera backpack or bag, many of the questions you need to answer are the same as when you had a DSLR. Wide angle lenses tend to have the narrowest range of uses. They tend to be the shortest, lightest lenses. They are great for nature photography and have strong depth of field and brightness. However, they warp the horizon line and tend to distort some details. A good example of this is how they handle portraiture, where they make the nose look larger and the eyes appear sunken. Telephoto lenses on the other hand are much longer. They can be heavy enough that they need a monopod to be usable. They do much better with portraiture. These also tend to more easily achieve the blurred background and bokeh effect than other lenses. Nikon telephoto lenses are necessary if you want to do any sort of wildlife, sports or action photography. Normal lenses split the difference and tend to photograph the environment as we see it naturally. They are the best option if you don’t plan on using your lens for a specific type of photography that would require a wide angle or telephoto lens. They are a good all-around versatile option. Unless you are purchasing a lens for a very specific need, like photographing football, a zoom lens is probably the best fit. Zoom lenses allow you to carry fewer pieces of equipment in your sling bag. That is because you get multiple focal lengths and apertures in one lens. There are a number of zoom lenses you can choose from. It depends on on the focal length or range that would best suit your needs. You can get a zoom wide angle lens that goes from about 18mm to 55mm. You can also get a lens that goes from wide angle to normal at about 22mm to 70mm. There is also a wider range that stretches from normal to telephoto at 70mm to 200mm. The range you select may depend on your budget and how much space you have in your camera bag. You’ll likely want a larger range zoom if you can only afford to buy or store one lens. You can get a range of lenses that serve different purposes if you have the money and space. With Nikon Z mount lenses though, fixed focal length lenses are called prime. Zoom lenses are called just that – zoom lenses. You can also tell if a lens is fixed or zoom if it lists a single focal length or a range. The third most important criteria to consider when selecting a lens is the maximum aperture. That is stated on every lens. This basically lets you know how much light the lens lets in when you take a photo. Larger apertures allow less light and smaller numbers allow more light in. The aperture will also determine the depth of field. It determines whether the background of your photo will be sharply in focus or blurred. As with focal length, a zoom lens will list a range of apertures instead of a single one. You only want to buy a lens with a fixed aperture if you have a specific purpose that it will fill. If you want a good all-around lens, a fixed aperture will be limiting. Nikon’s mirrorless Z 7 and Z 6 camera bodies were only released in September 2018 and November 2018 respectively. As a result, there is a very limited selection of lenses currently available. Photographers can always purchase a Z to F mount converter for their old DSLR lenses. Or, they can wait and select from a wider range of Z mount lenses that will be released in 2019 and 2018. 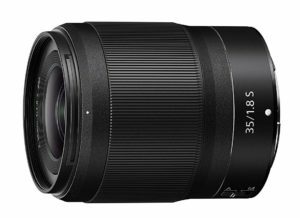 With that being said, we tried to consider the four Z mount lenses that have already been released. We also considered the 5 lenses that are set to be released this year in compiling this list. Here are a few of the main selection criteria we used when choosing our favorites. Unless you are a professional or you have a lot of expendable cash, you likely can’t afford to stock five or more lenses in your kit. Many photographers are happy if they can purchase two or three high-quality lenses. Taking this into consideration, we tried to select lenses that were good in a wide variety of situations. We also tried to select lenses that had a narrower application but performed at a professional level. This means choosing high performing zoom lenses and more lenses at a normal aperture. However, we’ve also included wide angle and telephoto lenses. This technology is less than a year old. So there are certainly still kinks to be worked out. Many of the technology systems, like the stepping motor instead of the mechanical focusing systems, have historically had problems. However, they are improving quickly. Nikon’s equipment is already a world ahead of many early systems. Their range of compatible equipment is expanding fast. That being said, we tried to only select lenses that had been used by real photographers. We selected models that were reviewed as consistent and reliable. We looked for lenses that have already been created and tested instead of ones that have planned release dates far enough out that they haven’t been used yet. You can find Nikon’s F to Z mount converter for just about $250 to use your old DSLR lenses with your new mirrorless setup. So we tried to take cost into consideration when compiling this list. We wanted lenses that were high-performing and had cutting edge technology. We also wanted lenses that were listed at a reasonable price that photography enthusiasts and professional camera users could afford. The converter is affordable and Nikon is planning on expanding their Z mount lenses extensively in the next few years. As a result, many photographers may prefer to purchase the converter. They may prefer to wait until there is a wider selection on the market to choose their main lens. This is an especially good option if you already have a number of versatile lenses. If you know the kind of lens that would fit your needs, however, and it is already on the market, it may be a good option to get the lens and the converter. Nikon only has four Z mount lenses on the market right now. So it makes sense to consider some other third-party options. There are more that Chinese companies are releasing in 2019. However, Kipon has several Handevision lenses that are precise, reliable and available now. They have branded these lenses as Kipon ELEGANT. They mechanically redesigned them from earlier lenses to make them compatible with the mirrorless mount and reliable through longtime use. One benefit to the Kipon lenses over Nikkor is they are lighter and smaller. However, they don’t sacrifice performance. This makes them great for travel photographers and street photographers who need low profile, lightweight equipment to carry with them on long walks. The best lenses combine high-performance technology with an affordable price tag. Many photographers prefer to purchase lenses that Nikon themselves makes. However, this occasionally means choosing a lens from a third-party manufacturer that has better specs. When this was the case, we noted the comparable Nikkor lens and the reasons why we made the choice that we did. They’ve also partially announced three more lenses for 2020 and are planning more for 2021. What advantages do Nikon Z mount lenses have over F mount lenses? As mentioned above, the Nikon Z mount lens has a wider interior diameter than the F mount lens. It also has a shorter flange distance. That is the distance between the mounting flange and the camera’s image sensor. This is a benefit not only because it is the largest full-frame camera mount available. It is also because it allows companies to design and create higher performance lenses than was previously possible. These larger specs also mean that you should be able to convert any lens from any manufacturer once third party creators start releasing converters for the new Z mount technology. While they aren’t available yet, the fact that there aren’t lenses with wider diameters or shorter flange distances means this technology is likely just on the horizon. What is the new Stepping Motor? Traditional DSLR lenses use a mechanical focusing control. You can also operate it by physically turning the focus ring to move the lens elements mechanically. However, the new Z mount lenses have a new focus-by-wire technology. The lens focuses electronically instead of mechanically. So the focus ring will only work if you turn the camera on. Nikon’s stepping motor is much more sophisticated than earlier focus-by-wire technologies from other camera companies. Their system doesn’t struggle with the same loss of focus and focus skipping problems reported with earlier systems. What does S Level mean? The new Nikon Z mount lenses have all been part of Nikon’s new S line. It is recognizable by a stylized S under the word “Nikon” on top of the lens. It also has a thin silver ring above the focusing ring. Many photographers think the maximum apertures of the S line lenses so far released puts them more in the enthusiast category than professional. However, this isn’t the case. The S was chosen to represent words like sophisticated and superior. It is the new line of professional lenses. Given their shorter flange distance, the aperture is actually more than sufficient for professional photographers. These lenses perform even better than the previous professional F mount options. Nikon’s goal was to create lenses with less lateral and longitudinal chromatic aberration. They wanted them to have less distortion and better flare and ghosting control than all other options. Reviews so far seem to indicate they have achieved this. The design is also sleeker than the F mount lenses with gold rings. It has a matte all-black finish other than the thin silver ring. This makes the Z mount S line lenses appear sleek, professional and discreet. The S line lenses have the absolute latest technology available. So they are also slightly more expensive than their enthusiast-grade counterparts. All of the lenses Nikon has released for their Z mount cameras have so far been part of the S line. However, they are planning on releasing several non-S level lenses that are more budget-friendly but still perform well. These will still perform better than the previous Nikon F mount lenses. Why are the lens names different than other Nikon lenses? There is new camera technology necessitating an entirely new line of lenses. So Nikon decided to revamp their naming conventions for the new equipment. Instead of using the traditional abbreviations like AF-S, ED, AF-P, E and G, Nikon has simplified their nomenclature to a letter S. It informs the user that the lens comes equipped with the latest technology available at the time of manufacture. This means you will have to look up Nikon’s lens specs when you go to purchase them. You will need to see exactly what technology was current at the time. That is because new technology like the multi-focusing system and ARNEO Coat will be included under S as technology develops. The new lenses are named first with NIKKOR, to denote the maker. That is followed by a Z to indicate the mount. Next is the focal length or focal length range. Then, the maximum aperture or aperture range. Finally, there is the grade name of the camera. The highest quality lenses have a specific designation following the S grade, such as Noct. That denotes them as such. Many photographers will have to get used to the new naming conventions. However, they certainly are simpler than the previous conventions. They also still give you the information that is absolutely necessary. How are Z mount lenses customizable? The new mirrorless camera systems are entirely digital. So the new lens technology is largely digital as well. This means that every button and ring on the Z mount lenses can be customized from the camera. Nikon’s Z mount lenses that have already been released features the customizable focusing ring. However, none of the lenses have customizable feature buttons yet. Future lenses should have at least two buttons that you can customize to control different functions. For now though, the focusing ring can manually control the focus, exposure compensation, or aperture. You can also turn it off so that it doesn’t function at all. Many of these customized options will not be included in mechanically controlled lenses. That is because hey don’t have the focus-by-wire system that makes the Z mount lenses so versatile. 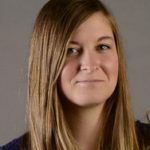 Do more communication contacts mean better performance? One of the bragging points for Nikon’s new Z mount lenses has been the greater number of communication contacts. But does this really mean they are superior? The short answer is yes. Most Nikon F lenses have 8 contacts on the camera facing side. A few have 10 contacts with two being purposed for teleconverter communication. The Z mount lenses have more than 11 contacts. They give better, more precise control. The new stepping motor and overall technological design also allows the aperture and autofocus systems to operate more smoothly. That makes Z mount cameras ideal for recording video. The difference certainly isn’t big enough to throw out your F mount lenses. However, it seems to be indicative of where future camera technology is going. The contact control and communication is likely to improve even further over the next few years. Why isn’t Nikon focusing on fast-aperture Z mount lenses up front? Many photographers have been surprised that Nikon’s initial release of Z mount lenses have apertures between 1.8 and 4, instead of their typical fast-aperture f/1.2 to f/1.4 professional specs. The new lenses have larger maximum apertures. However, they still function professionally and consistently. That is largely because of the shorter flange distance. The main reason Nikon didn’t focus on a lower maximum aperture with their first Z mount releases is to keep the size, weight and cost of their lenses within a reasonable range for enthusiasts and professionals alike. If all of their initial lenses had come with a fast-aperture F/1.2, they would have been much larger, heavier and cost significantly more. This would have made them impractical for all but professional photographers. It would have limited who could reasonably have purchased their new mirrorless technology to a much smaller crowd. The f/1.8 prime lenses still perform well in a professional setting. They are amazingly sharp for their maximum aperture. To meet the needs of photographers who prefer a smaller maximum aperture, Nikon has planned to release several lenses in the near future with lower aperture specs. They include a 50mm f/1.2 lens in 2020. 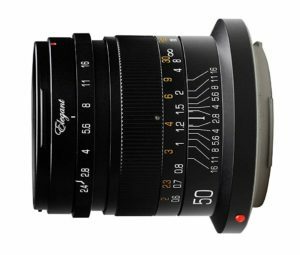 Are Kipon ELEGANT lenses really a good option? Some people are reluctant to buy third-party product, often for good reason. Some third-party manufacturers churn out cheaper knock-offs that won’t perform nearly as well. They will break shortly after you purchase them. That certainly isn’t the case with Kipon. They currently product the best third-party Z mount lenses on the market. Kipon’s Z mount lens line is called ELEGANT. There are currently five options available. They are all priced comparably to Nikon’s line of Z mount lenses. These all feature a 49mm thread and have a 58mm exterior diameter. Their bodies are also entirely constructed from metal, with brass, stainless steel and anodized aluminum, making them durable and weather-resistant. The ELEGANT series was initially designed and released as IBERIT lenses for Leica’s M mount cameras. However, they were reformatted to fit Nikon’s Z mount lenses at the end of 2018. Kipon will reformat and release the same lenses. They will do that once Canon’s R mount mirrorless cameras are available as well. Below are what we believe to be the 6 best Nikon Z mount lenses that are on the market or are soon to be released. We will list each lens’ focal length or range, maximum aperture or range, construction material, filter size and weight before listing basic pros and cons and diving further into what makes each lens special. Finally, we will list several special considerations that you need to take into account if you select that lens. While reviews aren’t out for this lens yet since it isn’t arriving until later this year, the hype is big enough that we had to include it on this list. Nikon is hailing the lens as its flagship Z mount lens and “the fastest lens in Nikon’s history” in their recent press release, and many reviewers are predicting that this lens will be good enough that the camera body will function as the accessory instead of the lens. Given the fact that the Noct-NIKKOR 58mm f/1.2 F mount lens is hailed as legendary, we think it’s a pretty safe bet that the Z mount counterpart will be as well. While there are a few f/0.95 lenses on the market now, Nikon’s new Noct Z mount lens is supposed to deliver resolution and a level of detail that is unparalleled on the professional camera market. Since it has such a large interior diameter and short flange distance, an amazing amount of light will reach the sensor, allowing unparalleled performance in extreme low-light situations. The best part about the large internal mount is that light can get into the corners, eliminating vignetting and yielding fully illuminated photos. While the lens will purportedly achieve beautifully consistent bokeh effects, the edges will still be sharper than normal for other similarly bright lenses. While all of Nikon’s Z mount lenses are supposedly going to be higher performing than their F mount lenses, the 58mm f/0.95 is supposed to be the cream of the crop. 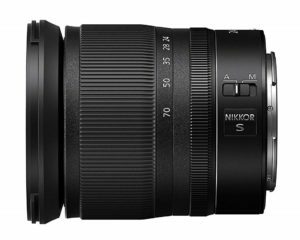 Again, even though reviewers haven’t been able to get their hands on this lens yet, it is widely anticipated to be Nikon’s best ever lens. Reviewers are particularly looking forward to the high-refractive-index glass, which should improve aberration correction, and the large diameter ground aspherical lens element that will allow this lens to outperform previous F mount models. 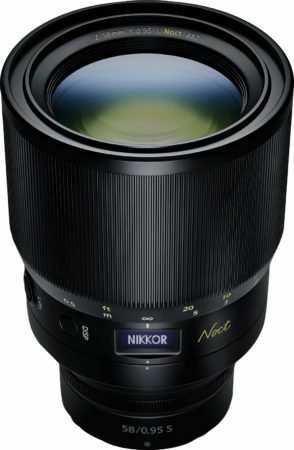 Reviewers anticipate that this lens will offer consistently higher performance over previous Noct-Nikkor lenses. Another feature that reviewers consistently mention is the realistic color rendering and better flare reduction. The main down side people mention is the fact that, being Nikon’s flagship lens, it is likely to have a significant cost. Given the focal length though, it will likely be a great all around lens and perform particularly well with portraiture. With the higher number of contact points and new and improved technology, this lens, along with Nikon’s other Z mount line up, will likely be excellent for shooting video as well as stills. Another feature that people anticipate positively is the retro design. The Al Noct-NIKKOR 58mm f/1.2 standard prime lens that they released in 1977 inspires the lens. It has a sleek all black look. Its construction is also durable, with Nikon using metal where it needed extra protection and high quality plastic in other areas to cut weight. As mentioned above, the main concern is cost, with reviewers predicting it will run between $4,000 and $6,000. This will price out many photography amateurs and enthusiasts but is likely to be well worth the cost if you can afford it. It is also unclear how much it will weigh, since 50mm lenses are typically lightweight. This lens in particular however appears to be huge in early photos because of the advanced technology and large interior diameter and may be quite heavy and large. Another special consideration is the fact that it is going to be a manual focus lens, which fits with the throwback design of the lens body. The updated technology will likely still enable photographers to use high-precision autofocus assist through the sensor focusing pixels, a feature that isn’t possible to use on Nikon’s DSLRs. A final consideration is the fact that this lens will be slightly more specialized than a zoom lens. While the performance is set to be spectacular, the fixed focal length at the middle of the normal range will allow a fair amount of versatility but means you can’t extend or retract it to be used as a telephoto or a wide angle lens. If you are able to afford this lens though, that likely won’t be a big issue for you given its other stunning features. This was the first new lens Nikon manufactured for their mirrorless camera bodies, and with good reason. It is a good all-around lens and is a good choice if you only want to carry one lens and you aren’t a fan of zoom lenses since it is wide enough to get an entire scene but also close enough to separate subjects from the background. Plus, there are a handful of upgraded technologies that set this lens apart from previous versions. Like the previous lens, the 35 f/1.8 has a sleek almost all black exterior without the metallic gold markings on earlier Nikon lenses. The lens body also consists of metal where the lens needs extra protection and plastic where it is sturdier to make it lighter. Furthermore, it has weather sealing internally to protect your camera and the lens itself from damage due to moisture or dust, and has a fluorine coating on the rear and front elements that causes water or oil to slide right off. You can change the manual focus ring to control other features if autofocus is on, like f-stop or EV compensation. You can also turn the control ring off. The stepping motor is quiet, fast and accurate, allowing photographers to use autofocus with more ease than ever before. There’s also a Nano Crystal Coat on the lens that eliminates ghost effects and flares from light diagonally entering the lens. The Extra-Low Dispersion Glass further helps to limit chromatic aberrations in your final images. Reviewers praised this lens for being a great all around choice. They like that it has technology that is a step up from Nikon’s previous fixed focal length 35mm lens. In general, this lens helped capture crisp, bright images. The large aperture gives a great, shallow depth of field and good low-light photography capabilities. The weather sealing is a great feature. While the price isn’t cheap, the lens is reliable and worth the cost. This isn’t a macro lens. However, it is able to focus at just 9.8 inches. That allows for much closer focus than previous lenses. You can’t necessarily capture flower stamens. But you can get much closer to subjects than you could before. This lens also performs particularly well in low light situations. That is thanks largely to the larger interior diameter and shorter flange distance. The weight and size balance well with the lighter mirrorless Nikon bodies. Larger lenses have the potential of overpowering them. The lens also did a particularly great job at eliminating chromatic aberrations and flares. Reviewers reported it was difficult to find even a single example of purple-blue fringes around high-contrast subjects. There is some vignetting. However, normal subjects had significantly less light fall-off. This is due largely to the super-wide Z mount that Nikon has created. It allows light to reach the corners of the sensors much more easily. The 11 lens elements in 9 groups also allow photographers to achieve a smooth, consistent bokeh effect with the larger aperture. This lens doesn’t have optical stabilization. However, Nikon cameras come with this feature. So photographers shouldn’t have an issue while shooting. Many reviewers did comment that the customizable manual focus ring is far too sensitive. They report that it changes setting drastically if you bump it even a little. For this reason, reviewers recommended you turn off the control ring altogether. That is a small loss considering the lens’ other impressive features. When photographing with a wider aperture, the 35mm f/1.8 does struggle with heavy vignetting around the corners of images. This isn’t an issue at smaller aperture settings. You can play with the Vignette Control setting on Nikon’s Z 7 to offset this side effect. Since this lens is right at the bottom of the normal range focal length, distortion is not a major issue. The closer you get to your subject however, the more likely you are to see slight distortion of straight lines and horizon lines. This lens is a great all around, normal focal length lens. However, Nikon has released or will be releasing several more versatile lenses in the near future. This includes zoom lenses and slightly longer focal lengths, like the 58mm lens mentioned above. If you are looking for a great all around lens to have as your go-to mirrorless lens though, this is a great option that is more affordable than the 58mm f/0.95. This was one of the first three lenses they released for Nikon’s new mirrorless camera bodies. It was the first zoom lens they released in their Z mount line. While it is the same focal length range as the Nikon F mount Z 24 – 70 lens from Nikon, the Z mount lens is much lighter and smaller due in part to a retracting mechanism that you activate once you turn the zoom ring past the 24mm minimum spot. The focus ring is again customizable. You can turn it off or switch it to ISO or EV compensation control. It also has robust weather sealing to protect your equipment from dust or moisture. As with the other Z mount lenses, the design is minimal and retro lenses inspired it. Simple white text has replaced gold accents where it needs text, giving it a subtle, professional finish and overall look. Like the 35mm lens above, the zoom lens is lightweight enough to balance the lighter mirrorless cameras, weighing just over one pound, and stores quite compactly when you collapse it. The autofocus and manual focus toggle is the only switch on the lens itself, and the focus ring is relatively narrow when you compare it to the zoom ring. The lens also does a great job shooting video and has a smooth autofocus system thanks to the step motor that Nikon has included in their S line Z mount lenses. 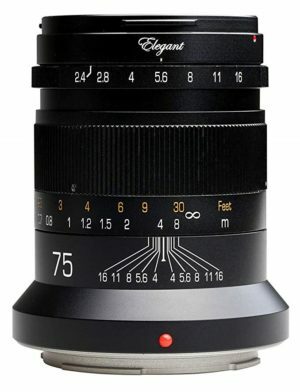 While this lens is a little pricey, it is an advanced, S line lens and it is well worth the roughly $1,000 cost. It performs consistently well, takes incredibly sharp, crisp photos and comes with Nikon’s newest suite of technology. Like the zoom lens above, the manual focus ring is much too sensitive, making it impractical to use in any setting except off. The electronic step motor used for autofocus is smooth and sophisticated enough to make up for what the lens lacks in manual focus. The zoom ring is rubber and has a weather-proof fluorine coating that makes it easy to grip any use and keeps oils from your hands or water from getting in the grooves and getting it dirty. The lens has 14 elements in 11 groups, making it a great general walking lens due to its quick and smooth operation. The narrower aperture is a little unfortunate, but helps to keep the size and cost down, making it a good choice for photographers who don’t need to shoot in low light situations very often. The retracting mechanism on the lens allows it to store at about an inch shorter than it otherwise would, but it means you’ll have to twist the zoom ring slightly before you can start taking photos. This design isn’t ideal and can take some getting useful, but photographers might appreciate the space saved by the design. To help save size and weight, the maximum aperture is f/4, which is significantly smaller than any of the other lenses on this list. This also keeps the price down however and makes this lens more affordable than other lenses with the same focal length range. It does sacrifice some low light performance and means this lens can’t create a very shallow depth of field compared to other lenses, like the 35mm f/1.8. This lens, like many in the S line from Nikon, is particularly good for shooting video since the autofocus system is smooth and virtually silent. It locks in a subject easily and tracks well. It can also refocus between subjects with very little searching. This lens is particularly versatile with the Z 7’s crop mode, which essentially makes the 24 – 70mm focal length closer to 36 – 105mm. There is also more light fall off in the corners of the image than with the other Z mount lenses, particularly when shooting above 50mm. This lens was the third Z mount lens Nikon released, and is one of our favorites. It takes sharp, reliable photos and has advanced technology like the Nano Crystal Coating and Step Motor autofocusing that sets it a step above previous Nikon lenses. Also, the reasonable price tag makes this a great all around choice if you only want to buy one lens to go with your mirrorless camera body. It has 12 elements in 9 groups for smooth use, and the Nano Crystal Coating that comes standard on Nikon’s S line lenses helps reduce lens flare and chromatic aberration. The design is simple and clean, and the lens again has the classic almost all black look that the new Z mount lenses feature. The thin silver ring marks it as an S line lens, and it is likely that Nikon will release a similar lens that is less expensive with more affordable technology in the next several years. The lens itself feels sturdy and reliable, and the manual focus ring takes up the bulk of the lens body. Again, this lens is customizable and you can shut it off or switch it to control other features as you desire. While this lens doesn’t come with image stabilization, no Nikon lenses do, and the image stabilization in the camera body is more than sufficient. People review this lens highly on a regular basis. They note it as one of the best options if you can only afford to carry one lens in your bag. The 50mm focal length is a classic all-around length, and the reasonable price tag makes this slightly more appealing than the zoom or the 35mm if you don’t need any of the specific functions that those lenses offer. Some slight critiques include the weight of the lens and the sensitivity of the manual focus ring. This continues to be an issue, and since the manual focus ring occupies most of the lens barrel, most photographers would be better off by turning off its functionality so they aren’t continuously making small adjustments to their settings by accident. Also, while the lens is certainly heavy for its size and focal length, it still weighs under a pound. The weather proofing and fluorine coating make it feel solid and keep it clean with consistent use. While the Z mount is much wider than the F mount, it has a similar design to mount to the camera and is quick and easy to attach or detach. The lens also comes with Nikon’s standard front and back lens caps and soft cloth storage bag. It includes a bayonet hood. But with Nikon’s robust anti-flare and ghost reduction technology, you most likely won’t need to use it. While this lens certainly performs well, it is significantly heavier than F mount lenses with the same specs, which can be cumbersome and awkward with the small, lightweight mirrorless camera bodies. The AF-S Nikkor 50mm f/1.8G lens only weighs 187 grams, compared to this Z mount lens’ weight of 415 grams. While you have to factor the converter weight in if you want to use the F mount lens, it still doesn’t quite reach the more than doubled weight of the Z mount 50mm. While the lens doesn’t struggle with chromatic aberrations along high contrast subjects, it did have slight vignetting when shooting at f 1.8. This is only really noticeable on bright backgrounds however, and distortion is not an issue with this lens. Even though this isn’t a macro lens, you can shoot as close as 1.32 feet from your subject, allowing you to get a pleasant shallow depth of field and sharp detail on subjects. This lens is particularly good at creating bokeh and is a great option if you want to shoot portraiture. Kipon is the first third party manufacturer to design and release Z mount lenses for Nikon’s new mirrorless camera bodies, and they have released five focal lengths so far. All of the lenses are fixed focal length. They have the same aperture and filter thread. They are all much more affordable than Nikon’s Z mount counterparts. While they aren’t as sharp or advanced as Nikon’s lenses, photographers can afford to get more than one to stock their kits, and they should perform better than most F mount lenses used with a converter. The all metal construction makes these lenses particularly sturdy, and the Kipon lens is still lighter than its Nikkor 50mm twin, at .69 lbs. vs. 0.91 lbs. The body of the lens is anodized aluminum, stainless steel and brass parts, making it elegant and functional. The design itself definitely has more indicators and text along the barrel, but it is still has a relatively sleek and simple final look. The 50mm Kipon takes a 49mm filter instead of the larger 62mm filter that the Nikkor takes, but all five Kipor takes the same filter size. This comes in handy if you want to have more than one lens in your bag from the third-party manufacturer. This lens has 6 blades in the diaphragm to give a smoothly functioning aperture, and the maximum aperture, while not quite as wide as the Nikon counterpart, is still sufficient to create a pleasant bokeh effect. The lens only began shipping in late December or early January and is available on Amazon and eBay for now. They are affordable and give mirrorless camera enthusiasts a chance to build their lens collection with some great value equipment. The retro look is a plus, and photographers can purchase metal lens hoods to help cut down on flare since the Kipon lenses don’t have the special coatings and glass that the Nikon S line lenses have to cut down on flares and ghost effects. Kipon has been making lenses for about 6 years and has teamed up with German manufacturer IB/E OPTICS to create their new ELEGANT Z mount lenses. They first designed these lenses for Leica’s M mount cameras. They called them IBERIT. But when Nikon announced their mirrorless camera’s Kipon redesigned the mount on their IBERIT to create the Z mount lenses. When Canon releases their R mount mirrorless cameras, Kipon will release the same lenses with that mount as well. The lenses are manual focus, which some photographers may not like. They are also not full of the technological upgrades that Nikon’s Z mount lenses have so far had. However, they are an excellent third party lens option and are the only alternative to Nikon’s pricey S line lenses at the moment that doesn’t require Nikon’s F mount to Z mount converter. The 58mm exterior diameter balances with the smaller mirrorless camera bodies as far as size goes, and the manual focus ring is much slimmer than the new Nikon Z mount lenses. The metal components also help protect the lens from cosmetically unattractive dings and scuffs, while also protecting the technology inside from weather, dust and damage. Like the Kipon 50mm f/2.4 lens above, the 75mm has a six blade diaphragm, an all metal exterior construction and is much more affordable than Nikon’s Z mount lenses. It also features a five-element construction design and has a 2 foot minimum focusing distance. This lens is just in the telephoto focal length, and costs about $20 less than the 50mm Kipon lens, allowing photographers to purchase both for about the same cost of many of Nikon’s Z mount lenses. Since the 75mm Kipon has the same filter diameter as the other four Kipon lenses, you can use the equipment interchangeably. The body is also the same materials, and the slimmer manual function ring is easy to use but doesn’t get in the way once you focus your lens. Reviewers are optimistic that these lenses will perform well and be long-lasting. The construction is solid and previous lenses from this manufacturer have been reliable and high quality. Since the ELEGANT lenses are essentially the same as the IBERIT lenses, people expect them to perform well. Not many reviews exist yet from using these lenses since they only started shipping a few weeks ago, but there are many reviews about their IBERIT predecessors. The technology isn’t up to the level of the Nikon lenses, but the budget price still makes them a good option. They hold up nicely to wear and tear, and have create high-quality images with vibrant colors, great contrast and minimal distortion. The small, lightweight nature of the lenses is also a plus. Users report the lens being even lighter than the 50mm lens. This lens, like the other four Kipon lenses, is manual focus instead of autofocus, and while photographers often like having the option to do either, the price point makes sense and the lack of an autofocus motor makes this lens lighter weight. The aperture is the same as the other four Kipon ELEGANT lenses, which isn’t as large as many of the Nikon lenses but is still respectable. While you may see vignetting, you’ll still be able to create a bokeh effect if you want to. The lens certainly feels cheaper than the Nikon lenses, and the photos aren’t quite as crisp and clear, but the price makes up for the difference in quality since photographers can afford to stock more than one Kipon lens much more easily.